"This card is pure magic." 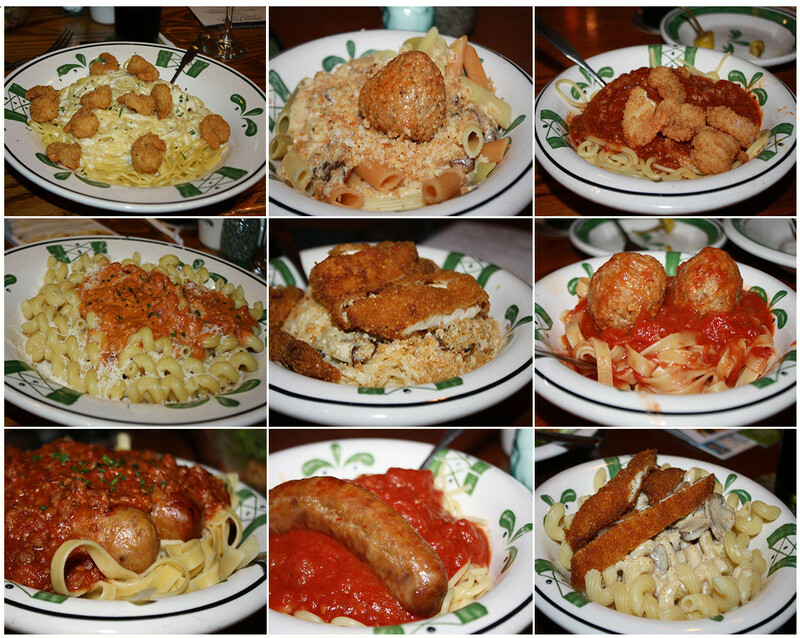 Owners of Olive Garden's Never Ending Pasta Pass have had about a week to start carbo-loading. For a measly $100, one thousand lucky noodle lovers snagged seven weeks of unlimited pasta (beyond pasta, card-holders are privy to endless Coca-Cola sodas, breadsticks and soup or salad). Though the promotion didn't start until Sept. 22, it sold out in less than two hours the day it was announced (Sept. 10), and some card-owners even took to eBay, surrendering their endless eats to make a profit. Others, however, are using the deal as intended -- to eat limitless pasta bowls at Olive Garden. Hagana Kim writes on 49DaysOfPasta.com that he will "eat Olive Garden every day for seven weeks." On the blog, Kim documents the daily meal, total Olive Garden calories consumed, the would-be cost of the meal, the number of breadsticks consumed and his current weight (the writer actually appears to be losing mass). Kim is enchanted and consistently positive, so far. "This card is pure magic," Kim writes. "It’s like a credit card that you never have to pay off. The bill just disappears." Matt of MattvsOliveGarden.tumblr.com has taken a more financially-conscious approach. He won't frequent the chain every day, but will eat Olive Garden to save money. He's anything but gluttonous: Matt, so far, has only ordered food to go, which defeats the concept of "endless:" When ordering take-out, card-holders are permitted one pasta bowl with sides. "This is about eating as cheaply as possible off of my AmeriCorps VISTA stipend," he writes on his blog. "I’m not out to emulate Morgan Spurlock and Pasta-Size myself. I won’t guarantee that I’ll eat there daily, and I’ll be taking my health into strong consideration as the weeks go by." Matt portions his meals, once saving the side salad for the next day's lunch, another time bequeathing the breadsticks to a hungry-looking man seated on a sidewalk. "Vino" of AllOfGarden.com may be the most extreme of the three: "My goal is to fulfill Olive Garden's unspoken challenge of the Pasta Pass - to use it fully and completely, to try every permutation the Never Ending Pasta Bowl has to offer, and to entertain others while I do it," he writes in an email to HuffPost. The Never Ending Pasta Bowl deal offers six different pastas with six different sauces and five different toppings, meaning there are dozens of combinations (but still, it's pasta and sauce and that can get tiresome and lead to some, um, clogging). Vino says he did the math and found there are 180 "pastabilities" in all (if you include "no topping" as an option), and intends to ingest them all by the end of the 49 days. "I eat one pasta for lunch and 3 for dinner, and there are 49 days," he writes. "If I keep up this pace, I should actually finish all 180 before the promotion ends." Vino is confident he'll be able to complete the challenge he's set out for himself -- "I'm one week down and hungry for more." We'll continue to follow these ambitious journeys from the sidelines, while eating sushi.